In the fourth day of play at the Pacific-Asia Curling Championships, both the men’s and women’s teams from China and Korea qualified for the play-offs following their wins today. In the women’s session this morning, China continued their 100 percent record with a comprehensive win over Australia. A score of four points in the first end took the pressure of China early in the game as they went on to steal another three points in the next two ends on their way to their 10-3 victory in just six ends. Korea found it a little tougher against New Zealand, needing an extra end to win 8-6. 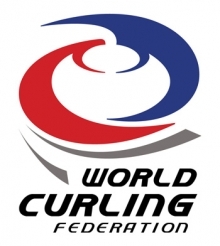 With Korea managing three scores of two points in the first ten ends, New Zealand responded with single points, including three steals of one point in the fourth, ninth and tenth ends to tie the game at 6-6 after ten ends. However Korea concluded the game with two points in the extra end to take victory. In the other morning game Kazakhstan made history by winning their first game of the Championship, defeating Japan 9-8. Stealing single points in the first three ends helped Kazakhstan on their way, while another steal of three points in the eighth end all but secured their victory, despite a score of four points by Japan in the ninth end. Afterwards, Kazakhstan skip, Olga Ten, said: “It is unbelievable how happy I am. It’s our first really, really good game in our lives and the first win we really deserved. The team played very well and everyone made their shots. Everyone was really confident and when they didn’t make a good shot they were still confident and felt relaxed. In the evening games, Kazakhstan could not follow up on their morning win, losing 8-1 in seven ends to Korea. After stealing eight points in the first six ends, including a steal of three points in the sixth end, Korea secured the win and their place in the play-offs. Japan meanwhile raced to an early lead against Australia, taking five points in the first two ends, including a steal of two points in the second end. This provided them with the confidence to retain the lead and win the game 11-3 in nine ends. China again proved why they are currently top of the standings after beating hosts New Zealand 10-2 in eight ends. Although the game was close until the fifth end, a score of three points in the fifth end then another steal of one point in the sixth end provided enough to keep China ahead and seal their win. With the men only playing one game today, China and New Zealand proved to be the most exciting game of the session, with the teams tied 5-5 going into the tenth end. Although New Zealand had led throughout the game, and with hammer in the last end, they had a good opportunity to win the game. However, Peter de Boer’s attempted straight raise didn’t come off and China snatched a 6-5 win. Korea were always in control of their game against Japan, leading 4-1 going into the fifth end. Although Japan got back into the game in the eighth end with a score of two points to make it 6-4, Korea ensured victory was theirs after taking another point in the ninth end, with Japan conceding defeat in the tenth end with the final score 7-4. Australia gave fourth stone player, Ian Palangio, the perfect birthday present with their second win of the Championship to lift them onto two wins and two losses in fourth position in the standings. Alternate Angus Young made his debut for Australia, helping his team to a 7-3 victory over Kazakhstan in nine ends. Afterwards, Australia skip, Hugh Millikan, was relieved to get a win today. He said: “It’s always tough when you know you should win a game. Kazakhstan is fairly early on in their curling experience and we were expected to win but you just never know in curling. We tried to play a fairly conservative game but they made some great shots and I think they have a great future ahead of them.